The family of 38-year-old Tupelo, Miss. police officer Kevin "Gale" Stauffer will be dealing with Christmas without him this year after he was fatally shot Monday afternoon while responding to a bank robbery. Now, police are searching for the getaway car. The Daily Journal reports that Stauffer and another officer responded to a bank robbery call around 3:15 p.m. Monday. When the officers pursued the suspects' car after they robbed a BancorpSouth bank, they jumped out and opened fire, killing Stauffer and critically injuring the other officer. 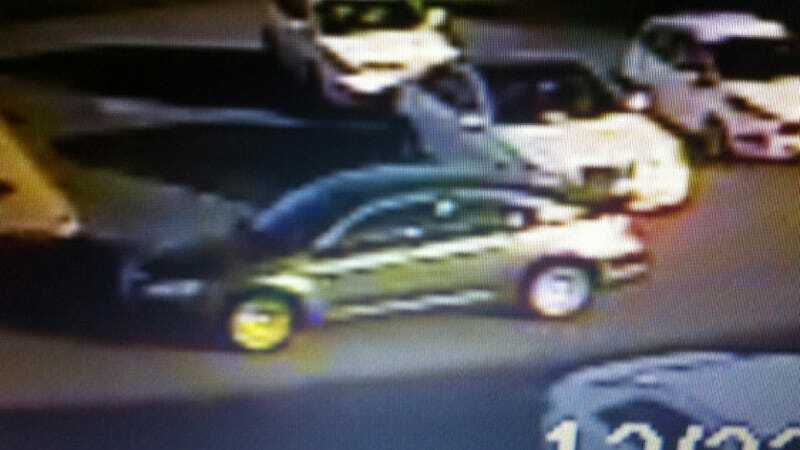 The suspects remain at large, and police are searching for the gray sedan pictured above, which has been described in local news reports as a Dodge Stratus, a Honda Accord or a Chrysler 200. Surveillance video of the car can be seen over at TV station WTVA. Let's see if we can't help police narrow their search a bit, Jalops. I'm thinking that's an Accord myself, but your opinion and analysis can always help. As the newspaper reports, anyone with information on the suspects' location is asked to call Crimestoppers at (800) 773-8477 or the Tupelo Police Department at (662) 841-6491. The FBI has offered a reward of $50,000, which has been matched by BancorpSouth, for a total reward of $100,000.